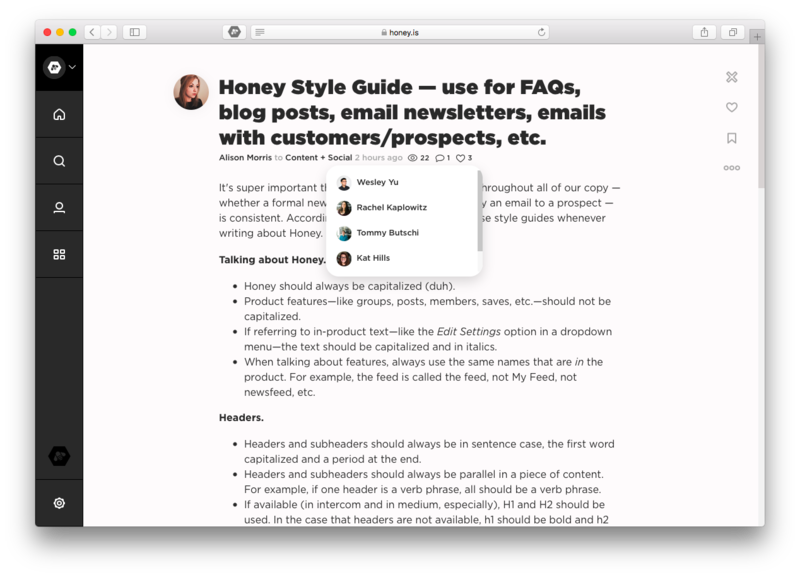 Many of the features described below are only available to Honey admins and moderators. If you have questions about who can or cannot see these settings, please don't hesitate to send us a note. We'd be happy to help! For many of our Honey teams, tracking and measuring activity on the platform is a critical piece of their Honey strategy. 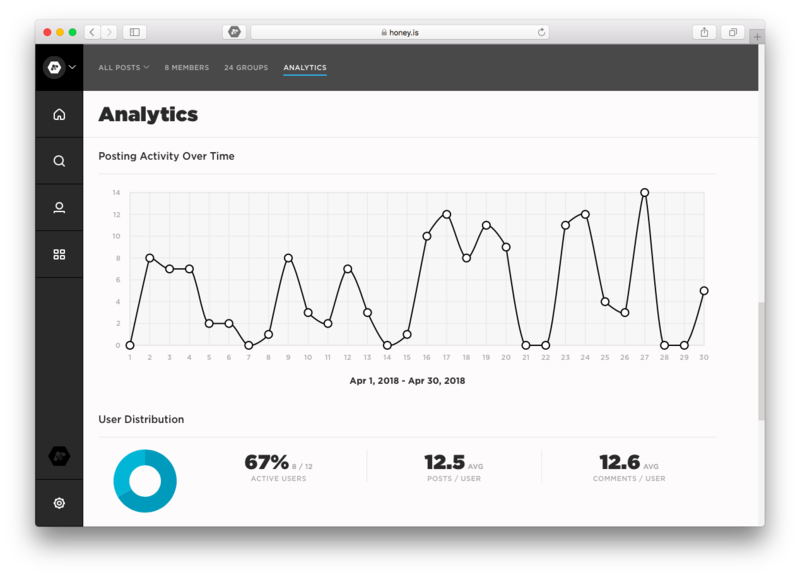 Our analytics and insights tools—which exist across the platform—make it easy. Let's dive in. Click your organization icon at the top of your lefthand navigation menu. Click Insights in the page header. Once on the insights page, you can customize the date range displayed by clicking the dropdown arrow next to This Month and selecting your custom date range. In addition to your insights dashboard, you'll also find post view analytics in your feed and on all posts. Keep in mind, only Honey admins and moderators can see these analytics and insights. Eyeball Counter. On each post's details line, you'll see an eyeball icon paired with a number. This number represents the cumulative number of times the post has been view in Honey and via instant email notification. Unique Viewers Dropdown. If you click the eyeball icon, you'll see the list of unique viewers who have opened this post. If you'd like to customize your date range, use the dropdown arrow next to This Month to select the timespan for which you'd like to view data. Then, at the bottom right-hand corner of the red activity box, click Export Data. This export will include four .csv files — one with an analytics overview, one with activity details, one with posting details, and one with user details.